Chris Pennell sets up the try. 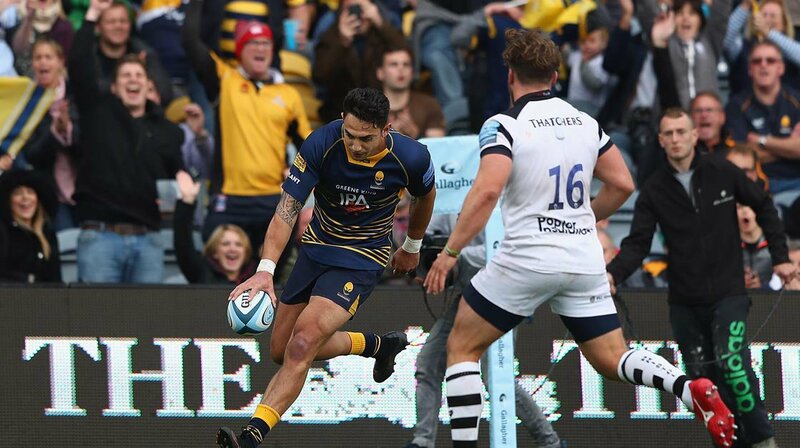 A wonderful passing move by Worcester is finished off by Bryce Heem. Bryce Heem makes the break as the defence re-enacts the parting of the red sea. Fabulous play by Bristol has led to Nic Stirzaker being able to wriggle through a gap. Marco Mama has made 20 good tackles so far this game. Trouble here as Sam Jeffries breaches the defence. Ryan Bower (Worcester) is shown the red card. Worcester decide to make a substitution, with Ted Hill getting some game time. Worcester decide to make a substitution, with Gerrit-Jan van Velze being replaced. This is dangerous for the defence as Joe Taufete'e bursts through to advance the Worcester attack. 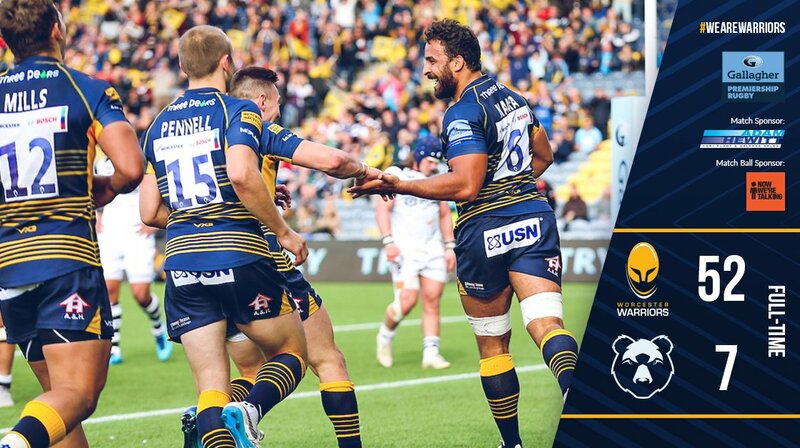 Worcester make a substitution with Joe Taufete'e coming on. Worcester make a substitution with Jack Singleton coming off. Nic Schonert departs for Worcester. A gap opened in the defence and Alapati Leiua took full advantage. The defensive line has been broken as Ryan Edwards goes through the gap. Pierce Phillips comes on for Worcester. What a run here by Alapati Leiua as they gets over the gainline!. Francois Venter has made 10 good tackles so far this game. Anton Bresler has made 10 good tackles so far this game. Josh Adams makes the break as the defence re-enacts the parting of the red sea. Bristol decide to make a substitution, with Jake Woolmore getting some game time. Bristol decide to make a substitution, with Yann Thomas being replaced. Bristol make a substitution with Ryan Edwards coming on. Bristol sub Callum Sheedy comes onto the field. Ian Madigan departs for Bristol. Daniel Thomas comes on for Bristol. George Smith leaves the field. Josh Adams scores an interception try. Trouble here as Josh Adams breaches the defence. The touch judges raise their flags as Duncan Weir kicks the conversion. Worcester are stopped just a few metres from the try line but Chris Pennell picks up from the base of the ruck to score the try. Duncan Weir adds the two points for Worcester. This is dangerous for the defence as Francois Venter bursts through to advance the Worcester attack. Francois Venter intercepts the pass to race ahead and score the try for Worcester. Marco Mama scores the try from close range. A gap opened in the defence and Marco Mama took full advantage. Steven Luatua has made 10 good tackles so far this game. Francois Hougaard played a key part in that try. A series of passes by Worcester results in a try for Ryan Mills. What a run here by Ryan Mills as they gets over the gainline!. Try saving tackle made by Ian Madigan. What a tackle there by Alapati Leiua as he saves a certain try!. Ian Madigan steps up to take the penalty but pulls it wide and to the right. That's a great try assist by Bryce Heem. Great hands by Worcester leads to a try for Gerrit-Jan van Velze. Fabulous play by Worcester has led to Darren Barry being able to wriggle through a gap. Chris Pennell has kicked a penalty goal. Trouble here as Andy Uren breaches the defence. Ian Madigan has kicked a conversion. Andy Uren sets up the try. Bristol are only a few metres out, surely they must score! And they do with Yann Thomas touching down. A gap opened in the defence and Yann Thomas took full advantage. The defensive line has been broken as Jack Lam goes through the gap. 🎥 "They make a huge difference - I'd like to thank them." 🎥 "To hear the crowd when someone is running towards the line is just a great feeling." 📜 MATCH REPORT | WARRIORS 52-7 @BristolBears. Record-breaking win for Warriors. 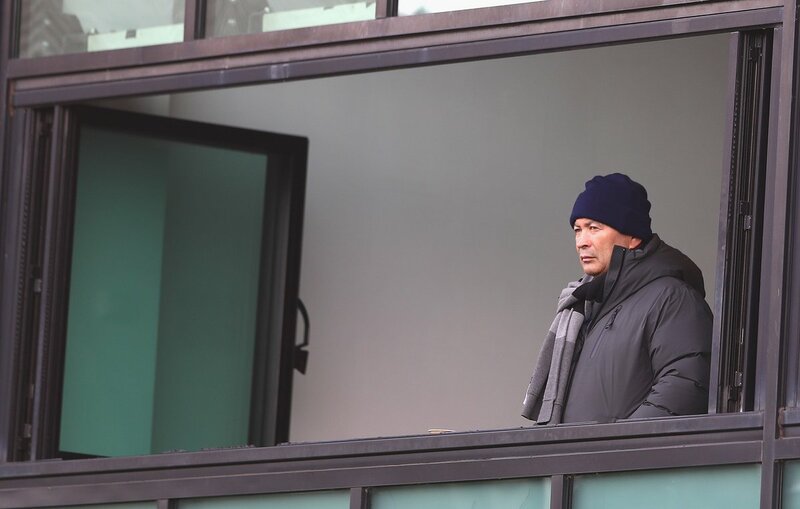 @BristolBears @premrugby Always an enjoyable game against you guys. 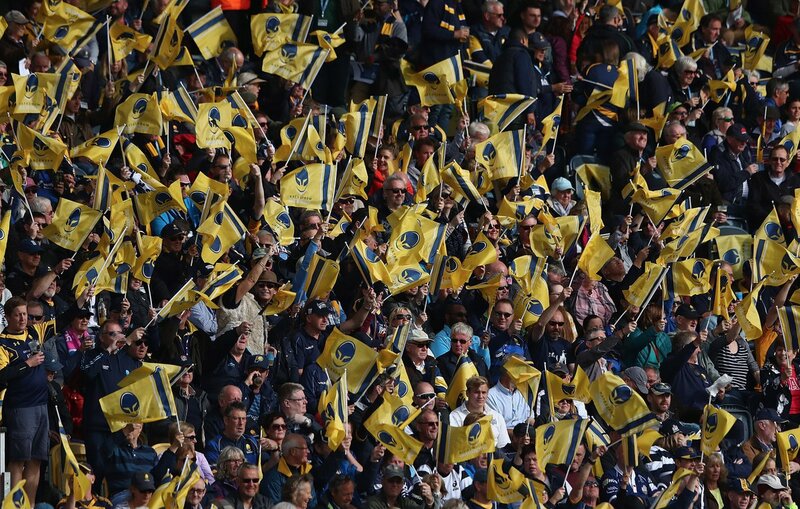 🔶 Fantastic support at Sixways today! FULL-TIME | Worcester Warriors 52-7 Bristol Bears. 80m | Weir knock his seventh conversion over and that's game! 77m | Five metres out as Warriors look for a seventh. 76m | @Ryan_Millzy hoofs it down the pitch, @JoshAdams951 gives chase and hauls Edwards into touch for a Warriors lineout. 73m | Bristol press again but they just cannot find a way through the Warriors defence and knock on close to the line. 57m | Warriors on the attack again but Bristol force a turnover. 47m | @duncan_weir notches his sixth conversion! 43m | 💯 from the tee today.